Voice is one of those things that's so easy to spot, but so hard to describe. There is no formula for it, no set of rules. Without a strong narrative voice, stories fall flat and you wind up with a lot of "close, but it just didn't grab me as much as I'd hoped" type rejections. With a strong voice, your prose sings. Voice is that sense there's a person behind the words. 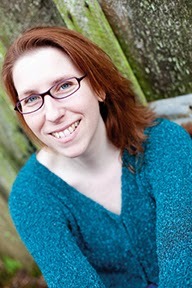 It's the judgment of the world around the characters and how they convey those opinions and that world to the reader. It's also the rhythm of the words, the words chosen, the pacing. Is it casual or formal? Simple or complex? Flowery or basic? It's the little things you do all the time that make your writing sound like you. It's useful to study other writers and learn from them, and even to try and emulate something about their work that you like, but let them inspire you, don't let their voice determine how you should sound. Think about why you like another writer's voice and apply it in your own unique way instead. Do you enjoy how they write dialogue? Work on your dialogue then. Do they paint beautiful word pictures? Pay attention to how you describe your scenes. If you read my early work samples, you'll see in the 2006 sample where I edited out my voice trying to sound like a "fantasy novel." I was convinced that to get published, the book had to sound a certain way and I did my best to write like that. But all it did was steal all the life from the piece. The 1992 version (bad as it is) had so much more voice because I was trying to write like me, not imitate what I thought I should be. We do terrible things to sentences to make them read "correctly," but writing isn't about grammatically correct sentences or having every period in exactly the same place. Sentence fragments, not using whom vs. who properly, bad grammar -- all of these things help bring our voice to life. While you can't ignore the rules all the time, breaking them to achieve an effect is acceptable and often creates what your narrative voice sounds like. Regions have a voice all their own. If I say someone has a Southern accent, you'll expect to see some "y'alls" and "bless her hearts" in my prose. Midwest writers toss in "pop" and "woods" instead of "soda" and "forest." Personal styles also slip into voice through alliteration, metaphor, or simile. If you have ways of saying things and those ways fit with your characters, use them. This is the hardest, and I wish I could say, "do this and this" and you'll be fine, but the only way you can learn this is to study your work. I pulled some older pieces out of my files to use as examples here, and I hope they offer suggestions on how to spot your voice in your work. I wrote a short story quite a while ago (late 90s maybe) and it has Nya's (and my) voice. If you've read The Shifter, you'll hear the beginnings of Nya here. I even used the phrase "sure as sugar" in this old story, which is something Nya also says. I'll color the voice aspects in green and break down why I consider them my voice. Lightning clawed its way across the sky, black streaks against a blue background that hollered the Storms were on the way. They always hid in the clouds, but I could see flickers of light and flashes of grey metal in the blackness. When they got to us, they tore open the clouds and loosed the rains. It rained heaviest on those under the machines and the cold water hissed when it hit the metal. The Storms didn’t want us seeing what they were doing to Billy. For a moment, I wondered if the Storms cared ‘bout Billy or what his bones would do to the machine, but that was fool’s thought. Course they worried ‘bout the thresher. People fixed easy. Lightning clawed: I often use descriptive phrases like this, because I like using unusual verbs to show how non-human things act. Clawed is very visual, angry, and violent, and brings more to the detail than just seeing lightning. It also speaks a bit to the POV character's views on the lightning. She sees it as violent and dangerous. This also shows my love for a tight POV. that hollered the Storms were on the way: Stating something about to happen in the voice of the character. I like to set up events so readers can anticipate them to help keep things moving. flickers of light and flashes of grey metal in the blackness: I do enjoy alliteration and the rhythm of this type of sentence. Three details to describe something aren't uncommon for me, especially if they're done with melodic flow. hissed when it hit: My love for onomatopoeia and alliteration. The Storms didn’t want us seeing what they were doing to Billy: Judgment on the POV character's part that suggests things aren't what they seem. I like to do this to up the tension and show the POV character is concerned. For a moment, I wondered if the Storms cared ‘bout Billy or what his bones would do to the machine, but that was fool’s thought. Course they worried ‘bout the thresher. People fixed easy: More of the same, using the character's analysis of the situation to show world building, characters, and posing questions. My characters like to figure out their worlds. It also shows a common paragraph structure I use. A longer sentence, then shorter punchier ones that end with something meaningful. Something within her stirred. Memories sluiced through her mind. Drowning in the flood, Faith struggled against the conflicting beliefs; obedience and rebellion, trust and fear, hope and cynicism. She wanted to die. She wanted to kill. Most of all, she wanted to know. Both of these pieces were written years before I found my voice, but I can see where my voice was coming from and how it was developing. I didn't mark them here (this post is already long) but you'll also see some of the same things I pointed out in the first example in this piece. The sentence and paragraph structure, the rhythm of the words, the word choice. If you're uncertain about your own voice, try studying your work, past and present. Look for common elements, pieces that feel like you, how you put your words together and the pieces you like the best. Study your word choice, how you arrange paragraphs, how you control pacing and flow. Find the parts that are you, and then develop those aspects. What traits does your voice have? What voices do you admire? 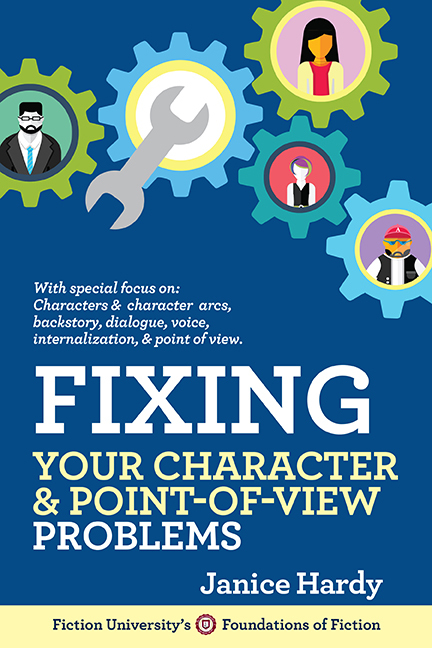 Find out more about characters, voice, and point of view in my book, Fixing Your Character & Point-of-View Problems. I really liked this post. I've struggled for years trying to figure out what my own voice was and it wasn't until the last year or so that I even recognised the issue. I do find it hard to define my own voice while at the same time thinking how much I want to write like one of my major influences. This is an awesome post. Very helpful. Thank you! Paul: I think defining and understand voice might just be the hardest thing in writing. Probably harder than actually developing it (grin). What helped me was to stop trying to write like my favorites, but instead strive to be as good as my favorites. Subtle shift in thought, but a lot of times that all it takes to put you in the right mindset to move forward. I have to be very careful with voice, because I have so many in my book. But the tips you gave are very helpful. Janice: That's good advice. I don't think I'd thought of it that way. Great post. But I do wish there were more rules about voice. But if there were more, I know you'd have figured them out. I especially loved tip #2. There are so many times that I know what I'm writing is grammatically incorrect but because no one speaks that way, it ends up being distracting. So I choose to say it the incorrect way so as not to stop up the reader. Misha: Oh definitely, but that's more character voice than author voice. That's a whole other post! Natalie: So do I. I think it's because it's like storytelling. There is no right way to do it. There are building blocks that go into it, but the final look and feel is up to the person crafting it. Mallory: And that's always a good plan :) Anything that keeps the reader reading is the right way to go. This is very helpful. I'm still trying to find my "voice" so this helps a lot. I will have to dig out some stuff I did ten years ago. It might help me. Oh nuts, you changed your feed settings! Great post--I like seeing the early examples. James Van Pelt says he tries to help his students find their voice by putting them on a one to-be verb per page diet. When I've played around with eliminating to-be verbs, I can see why--avoiding them forces me to avoid the easy and trite phrases. When I come up with more original ways to describe things, I sound more uniquely me. Developing my own writing voice was very tricky (For screenwriting) as I was so used to the films I love and the tone that certain writers would use and try to be just like them. The thing that changed me was just writing as I think and then editing after. In this way, I'm not censoring or altering my way of writing in any way and just fleshing it all out. I love editing for that reason. First drafts get the story down, then I can work with it and get it right. awesome post! It really helps pinpoint that elusive thing called voice. Thank you! Hilary, glad it helped! Elusive is a good word for voice. Now this is a great post. I'm still fighting internally as I edit, with leaving my voice, even if it's not grammatically correct. I know as I read and learn more, not just editing books, but the authors I admire, I see what works, and my writing confidence changes. I think I'm settling into my groove, but it's hard to turn off the editor in my head, haha. I remember in ON WRITING, Stephen King mentions that he too, went through that. While he was into a certain author, a bit of the way they wrote would enter into his current WIP. Not only funny, but I have found the same for me. I keep feeling like it's confidence. As I grow more confident, my voice shows more, and I worry less about being grammatically perfect. P.S. I have loved every blog of yours I have read. Incredibly helpful. Thanks so much! There's so much focus on being "perfect" that it's easy to forget that language is fluid. People aren't grammatically correct when they speak, and what sounds right isn't always technically correct. It can take time to develop, but trust your writer's instinct :) If it sounds right, go for it even if it breaks a grammar rule.